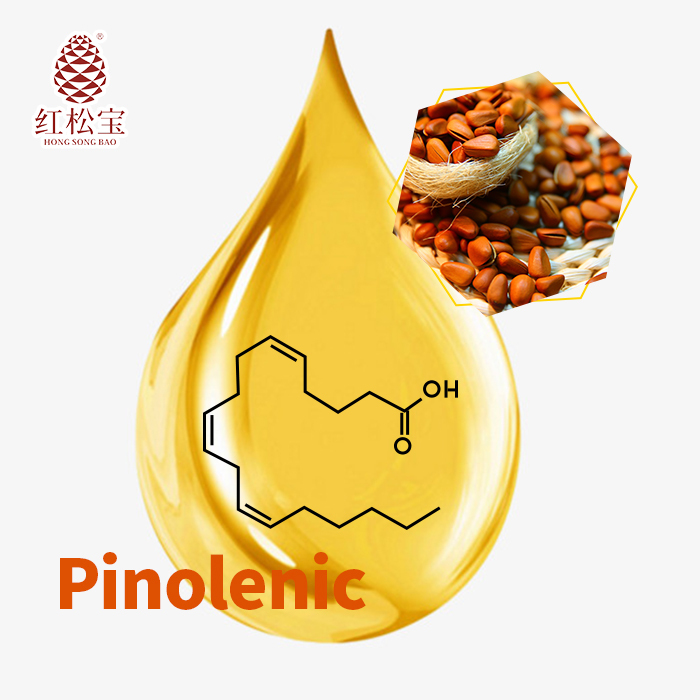 Product categories of Pinolenic Acid Powder, we are specialized manufacturers from China, Pinolenic Acid Powder, 80% Purity Pinolenic Acid Powder suppliers/factory, wholesale high-quality products of Unsaturated Fatty Acid R & D and manufacturing, we have the perfect after-sales service and technical support. Look forward to your cooperation! Pinolenic Acid Powder is microencapsulated Pinolenic Acid, could be drunk directly after improving its strong taste. this powder could be used as weight balance food supplement due to its efficiency. hong song bao brand under international manufacturing standard and strict quality management system, also best service. manufacturing base near changbai moutain, every batch of our products shows you a friendly and forest feeling.